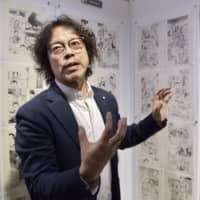 LOS ANGELES - The work of popular Japanese comic book artist Naoki Urasawa has been on display in Hollywood at a facility used to promote his country’s culture, marking the first such North American exhibition for the manga master. 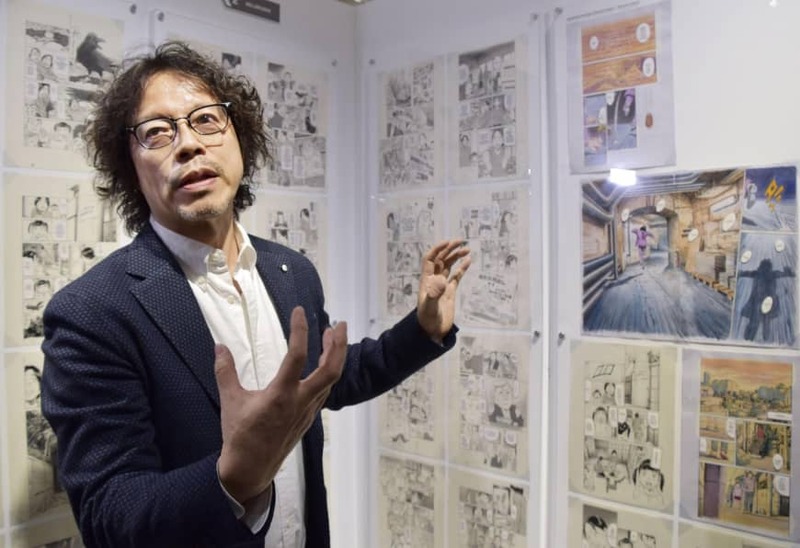 The centerpiece of the exhibit is a triangular tunnel of drawings showcasing the many faces of Urasawa’s manga characters. “It’s commonly thought that manga is simple, but I take care with subtleties to show dramatic expressions and convey emotion. You won’t find two expressions that are the same,” Urasawa said. According to the Japan House website, Urasawa’s works have sold over 127 million copies in Japan alone and his titles are sold in more than 20 countries. His recent work, “MUJIRUSHI” (The Sign of Dreams), was done in collaboration with the Louvre Museum in Paris. During the exhibition, visitors can also experience the weekly publication style often seen in Japanese comics, with four episodes from YAWARA! presented over a period of eight weeks. Fans lined up outside the Japan House for a rare chance to meet the artist at a book signing event Wednesday. Another attendee, Dave Cirone, a marketer from Los Angeles, said he has only recently discovered Urasawa’s works, and did not want to miss the chance to meet him. The Japan House plans to bring the exhibit to its other two locations — in London and Sao Paulo — in the near future.